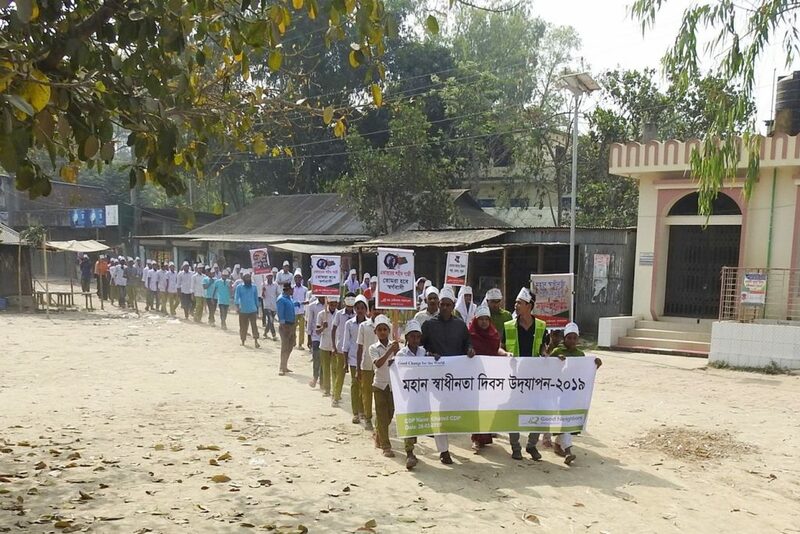 The 26th of March is the most important day for Bangladeshi people. The Independence Day of Bangladesh (Bengali: স্বাধীনতা দিবস Shwadhinata Dibosh), also referred to as 26th March is a national holiday. It commemorates the country’s declaration of independence from Pakistan on late hours of 25 March 1971. 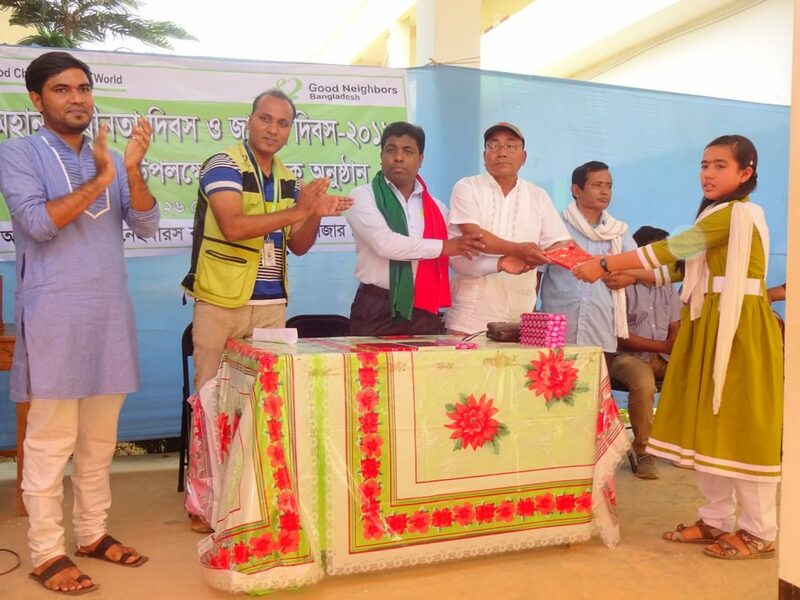 Good Neighbors Bangladesh celebrated the 47th Independence Day, with a vow to build a standard, happy life for the mothers and children, providing freedom from violence and poverty. The war for independence was a fight for liberation from foreign rule, which started on the 26th March 1971 and lasted until Bangladesh’s victory on the 16th of December. Every year we observe the day showing great honor to the freedom fighters that won the war and enabled independence for Bangladesh. 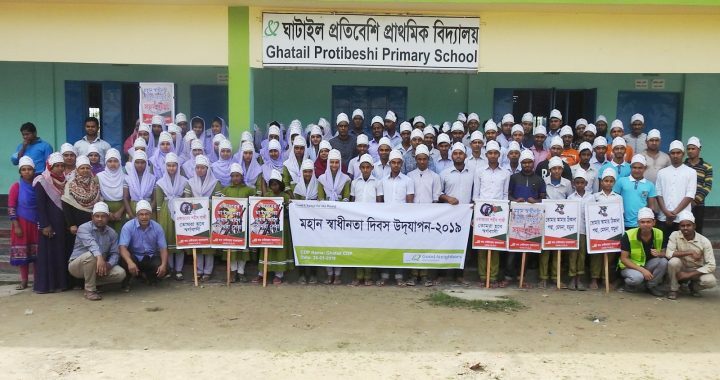 The children of the ‘Ghatail Protibeshi Primary school’, ‘A K Bangla School’ Moulovibazar and others CDP, FDPs celebrated the ‘free spirit’ of the Bangladeshi Independence Day with great fervor and joy. 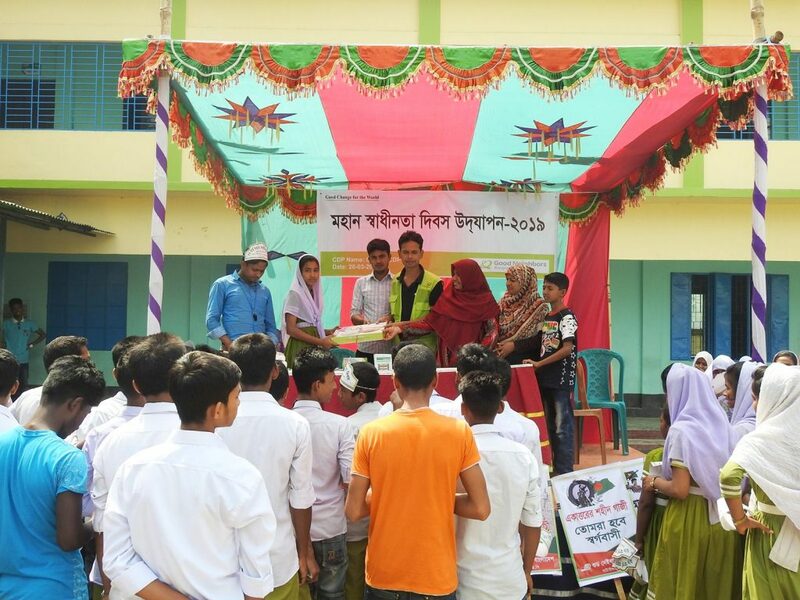 In excited anticipation, they gathered in the school grounds, where the assembly took place, with the national flag at full-mast and the melody of ‘Amar Sonar Bangla (the national anthem of Bangladesh). 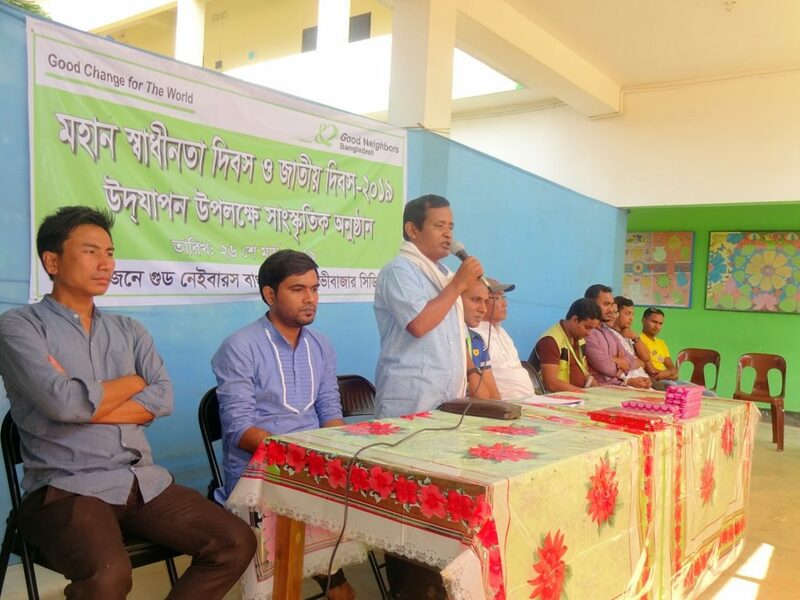 Good Neighbors Bangladesh 14 CDP/FDP have arranged a cultural program, discussion about Independence Day, competition and prize giving ceremony. These CDP and FDPs Children’s are very creative. 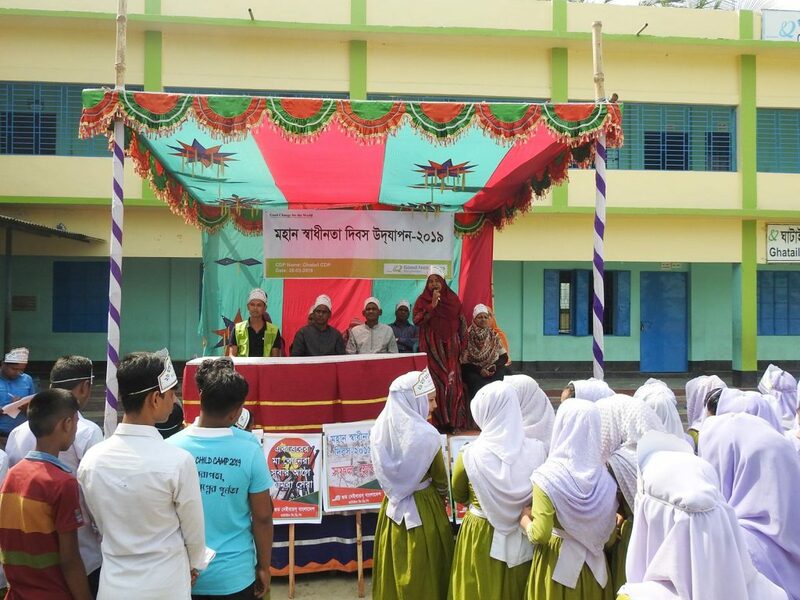 All the school’s attended the program. Many children are don’t know about Independence Day and don’t know how important this to us. For this reason, children’s took initiative and they also make short films about Independence Day, after all the day was a celebration of freedom of independence. 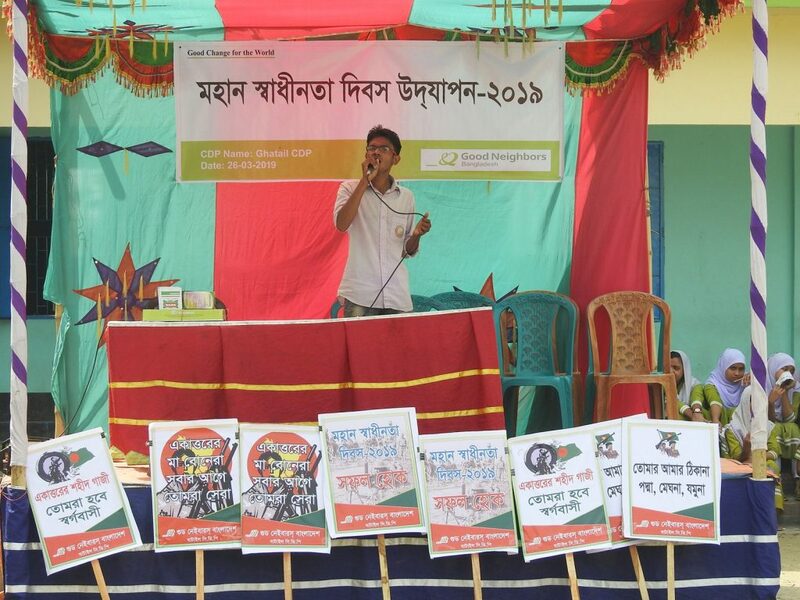 Posted in Uncategorized and tagged GNB, GNBangla, Independence Day.